The mission of the Green County Family YMCA is to provide programs for all races and creeds with emphasis on youth and young adults in the community which can give effect to our Christian ideals and values, and offer men, women, boys and girls, irrespective of age, mental or physical abilities or economic circumstances opportunities for experiences that will help them. We ask that individuals act in a manner that will uphold the four principles that are essential in the growth of young adults today. They are HONESTY, RESPONSIBILITY, CARING and RESPECT. These four principles are the basis for what we do as an organization. Children must be 10 years old in order to be at the Y alone. No guest privileges will be allowed for children under 10 attending the Y alone. Children enrolled in YMCA programs are able to be at the Y during programs. Children should not arrive more than 15 minutes prior to the start of the program and should be picked up within 15 minutes after class. Children who attend with a parent are allowed to use the Y, but must be at least 8 years old if a parent isn't directly with them. 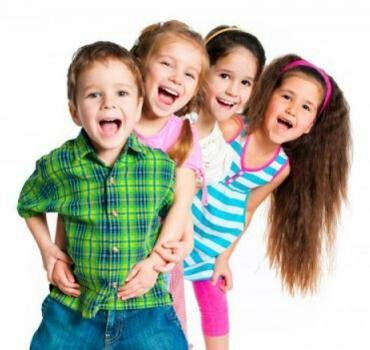 Children under the age of 10 and at least 8 years old may attend with an older sibling or babysitter (must be 13 years of age) and be with child constantly. Children under 8 years can participate at the Y if they are in constant care of a responsible adult or parent. The back door (2nd Street entrance) is used exclusively for preschool and after school participants and is kept locked at all times. Exiting the back door gives a person waiting to sneak in an opportunity to get in. Remember, you pay to support this facility, those who sneak in are free loading on what you pay for. NOTE: The back door is monitored by an alarm. 1.Membership. Membership fees can not be refunded. Usage is determined by the member. 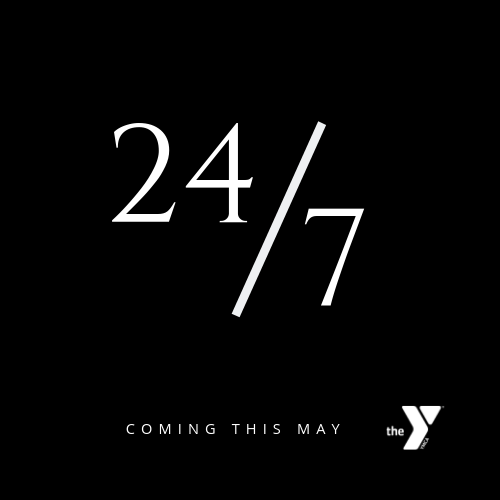 The YMCA staff is prepared to meet the demands of high usage by all members. Membership extension will only be given with a medical excuse from a physician. 2.Session Cancellation Policy. A YMCA session is a group of classes meeting between 7-10 weeks. A session can be canceled due to the following reasons: low registration, unavailability of an instructor, lack of equipment. 3.Class Cancellation Policy. A YMCA class, youth activity or swim lesson could be canceled due to storms, snow, unsafe conditions and rain. If Monroe School District cancels school or has an early release because of inclement weather, all youth programs will be canceled for that day. Make up classes will not be scheduled unless arrangements can be made with the program directors, instructors, necessary support staff and volunteers. 4.No refunds or credits given for classes cancelled due to weather. 5.The YMCA reserves the right to reschedule or combine classes. 6.There are no credits given for individual classes missed. A service charge may be charged to a participant who wants a credit for a specific class. Participants will be notified of this fee at the time of registration. When a YMCA member registers for a class/program and the membership expires or terminates during the class/program, the participant will be charged the difference between the member and non-member price for the remaining dates of the program. 9.Gift certificates can not be redeemed for cash. 10.Youth Sports Refund/Credit Policy. In order to maximize participation opportunities the following became effective 8-1-95. A. Full refunds are given only if the program is canceled by the YMCA or for medical reasons with a Dr’s written excuse (refund is subject to cost of any direct expenses i.e. T-shirt). B. Credits are available only under the following conditions and all credits will be subject to the cost of the direct expense of the program, ex: shirts, hats, books, etc. If request to drop out of the program is made prior to the registration deadline. For medical reasons with a physician’s excuse. C. No credits/refunds will be given when a person drops out of a program after the registration deadline. Exception: written medical excuse from a physician. D. Late fees may be applied after the signup deadline. Payment is required at the time of registration. Phone and online registrations are accepted with the use of DISCOVER, VISA or MasterCard. From time to time the YMCA has to raise membership fees and program fees to meet expenses.. These locker rooms serve many purposes. First of all, they are designed to accommodate a physically challenged person, and allow for spouses to have a neutral locker room area to go to if the couple needs to assist each other in changing prior to entering the pool. The family locker room also serves as a family locker room area for adult parents with opposite gender children (i.e.. mom brings 4 year old son). Family locker room should be limited to families with small children (6 and younger). The swimming pool, gym and locker rooms are available for rental to community groups. Proper adult supervision is required. Inquire at the front desk or call 325-2003 for more information. Rentals are based upon availability of staff and facility. All articles found will be held at the Welcome Center Desk for a short period of time. Please reclaim your lost articles there. All unclaimed items will be donated to St. Vincent De Paul. SAFETY FIRST! Prior to using the Fitness Center, all members must fill out a medical history form. Six Coaching Connection appointments are required for all members age 10 - 17. Please call 608.325.2003 to set up Coaching.